Once a stroke survivor is discharged from hospital and returns home, or moves into appropriate accommodation, he or she embarks on a life-long stroke recovery journey. Throughout this journey, the stroke survivor, carers and family members must make adjustments to cope with various stroke-related disabilities, and rebuild their respective lives. 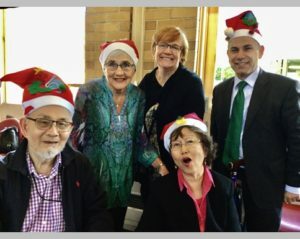 Community-based stroke support groups, like the Boroondara Stroke Support Group, can play an important role by helping stroke survivors and their carers to make the necessary adjustments and to rebuild their post-stroke lives. Generally speaking, BSSG Membership is open to stroke survivors and carers living in the City of Boroondara. We also welcome volunteers who would like to help stroke survivors and carers on their long stroke recovery journeys. However, we are flexible to the extent that people living outside Boroondara, or people with a brain injury other than stroke, such as Parkinson’s disease, may become members if we can provide them with the support they need.